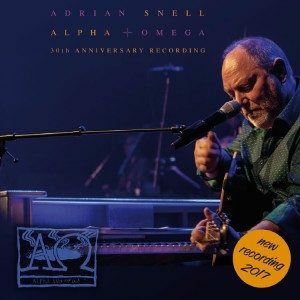 In 1986, some friends and I went to Oldham, in the north of England, to watch a concert performance of a new concept album by Christian musician Adrian Snell, entitled Alpha and Omega. Some back story is needed. Many of you know that I play the piano and sing, and at one time wanted to be involved in Christian music. When asked what my influences were, few would be surprised that I would name other piano playing rock musicians, like Elton John and Billy Joel. But the main influence on me, during my later teen years, was Adrian Snell. I eagerly devoured his albums – in vinyl form, of course. The lyrics and musicianship on Fireflake, Goodbye October and Listen to the Peace – Snell’s first three albums – were phenomenal. Then, I remember the excitement of waiting for album #4 in 1978, Something New Under the Sun, which was musically and visually beautiful, as the vinyl on which it was stamped was yellow! As the years passed, I got more disillusioned with Christian music. I remember reading an interview with a well-known Christian singer, in which he opined that he did not like to tell audiences about sin, but just concentrated on letting them know that God is Love. This weak feel-good, false gospel was a real let-down to a young man in his 20s. Then came Snell’s Alpha and Omega. And what was the theme? Sin, judgment, and redemption! 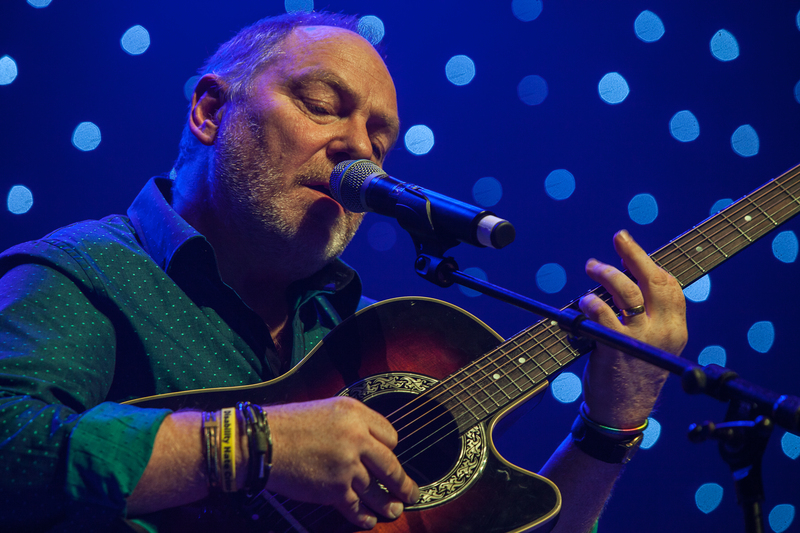 No one expects Christian musicians to be ace theologians, but here was an honest Christian, making music about our rejection of God, and His wrath against humanity in general, and each of us as individuals; and he led the concept album through to redemption on the cross, and the hope of glory to come. I was so blessed by this album. At the time, I occasionally wrote little articles for a Christian newspaper, called Evangelicals Now, so I sent them an unsolicited review of Alpha and Omega – both the concert and the album – and the editor, Bob Horn, was kind enough to publish it. Roll on 30 years. On his website, Snell says that in recent years, he started getting interest expressed in new performances of the album. 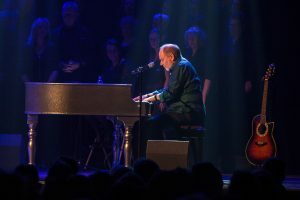 Consequently, Snell decided to use the 21st Century approach of setting up a crowd-funding page to raise money for a major new live recording of the work, which he achieved in 2016. A further crowd-funding campaign raised funds for high-level mixing. The result is an all-new album, recently released on CD – the Alpha and Omega 30th Anniversary Edition. So, how does it compare with the original? Well, the original was a seminal work. But the new version is even better! Well, the original was a seminal work. But the new version is even better! The CD is beautifully packaged, with a glossy lyrics book. And the crowd-funded production is lush. There are strings, saxophones, live drums – in short, a rich, yet not overdone mix. Snell’s voice is so fine, that it slightly amused me to find that there was a concession to his advancing years, in that most of the songs were sung in a lower key than the original. For example, the track Nobody Listens, was in C# minor in the original, but now transposed down a major third to A minor, to suit a voice in its 60s. But if you had not heard the original, you would not have noticed, and, in any case, it doesn’t matter; the song moves me even more today. The album is divided into four sections. Section 1 is entitled God’s Case Against Mankind. It starts with an amazing instrumental – Kadesh for Bergen-Belsen. This is follwed by the first song, The Nations Rage and Fall, which is a setting of Psalm 2 and other scriptures. In Nobody Listens, we hear a lament that few take notice of the salvation God has offered since the first sin. I love the title Messiah Mask, as we look at the place of false religion in the hearts of humanity. The first section is then closed with Guns of Peace, which has an amazing military opening. Section 2 is God’s Warning of Judgment. How many other Christian musicians are brave enough to include such a section? Indeed, not many pastors do this today. The section opens with No Escape, reminding us that “There is no escape from the hand of the Lord”. Then comes Child of Darkness, which laments that there has always been a way of salvation, largely ignored by people. I Am Your God, which follows, has a powerful refrain, aptly illustrating God’s Holiness and Power, as the choir sing “I am your God, I am your God; no other name shall have your praise”. The Good News begins in section 3 – God’s Great Love: The Way of Salvation. Man of Sorrows sets Isaiah 53 to music, and then we hear I Am the Way, as the lyrics take us to the only way of salvation. In Lord Have Mercy, we are invited to join in a prayer of repentance. The final section is God’s Promise: The Hope of Mankind. The first song in this section is Streams in the Desert / And They Shall Prophesy, which looks at Old Testament prophecies of the coming Messiah. The power of the Messiah is heralded in And in that Day, as Snell sings “And our King of Kings shall reign over all the world”. He Lives in You makes this truth personal, as we are exhorted to come to Christ ourselves. The album really ends with the title track, which looks forward to our ultimate goal, as forgiven believers, but the personal application is again there, with a brief reprise of He Lives in You.